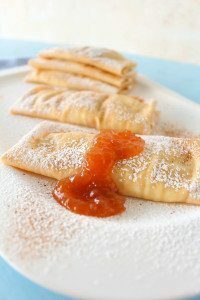 Crepes with Pear Honey Jam Filling. This delicious, light and easy breakfast can also be as dessert. You will enjoy the freshness of the pears. 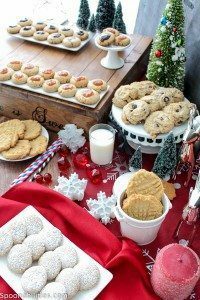 3 cookie ingredients that make the cookie: Chocolate Chip Cookies, Peanut Butter cookies, Almond Cookies. Thumbprint cookies with Pear Honey Jam & Fig pomegranate Jam. 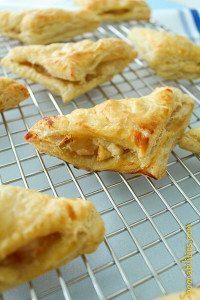 These Pear Honey Turnovers will surprise you with the sweet combination from the Honey Pear Jam, fresh pear and the creamy and strong taste from the Gorgonzola will create a perfect ending for a fabulous dinner. One of our Easy 1-2-3 Recipes.